The Piaggione di Serravalle, a pearl set on the summit of Chianti, is the residence that shines with authentic flavors, ancient traditions and quiet stillness. 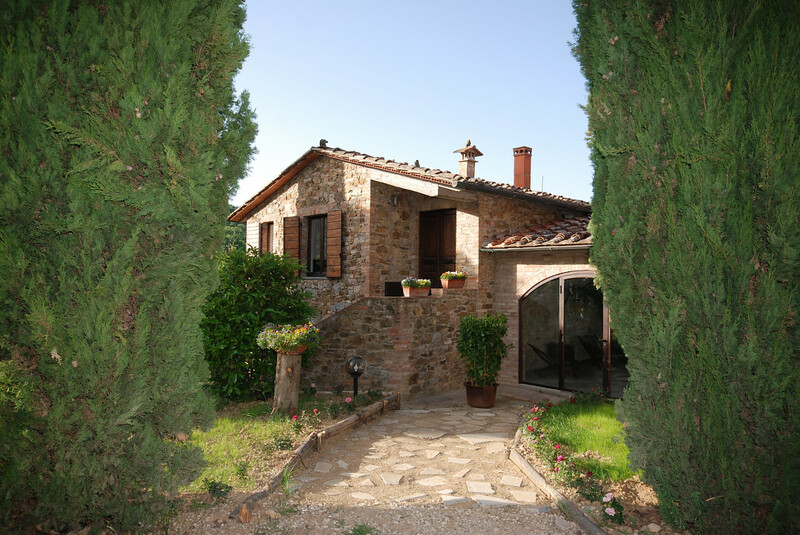 Enclosed by the shadows of the holm oaks and surrounded by the green of the olive trees and vineyards, it loses its horizon in the grandeur of the Tuscan countryside, still so authentic and inviolate in its nature. The structure of the Piaggione consists of 2 large apartments, one from 4, the other from 3 rooms and an independent hut of 2 rooms. These include the windows of the Loggia, a casket of relaxation that preserves with an exotic taste a Jacuzzi and an infrared sauna, while going down the stairs you reach other relaxation areas. 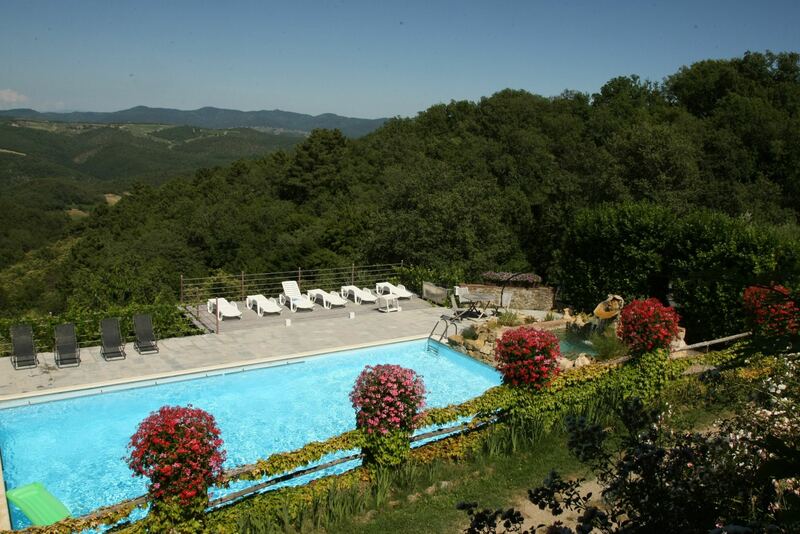 Outside a marvelous swimming pool flows precipitately over the green of the valley and in the rock next to it, among sprouts of fragrant shrubs, another hot tub opens, surmounted by an imposing hot water jet. Small paths and stone steps cut out the vegetable gardens on the slope of the valley, drawing hidden and silent corners, until you enter the trees of the forest. 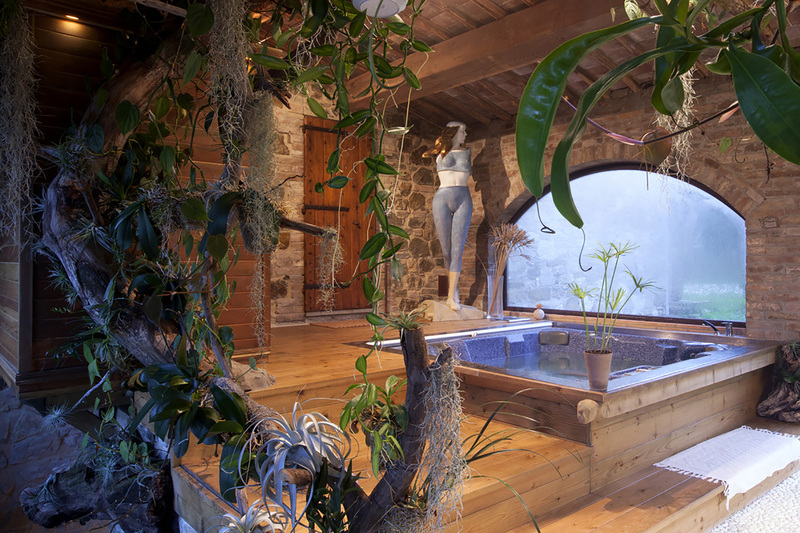 In this enchanting place blessed by the quiet, the modern sculptural masterpieces of Alberto Inglesi, an artist of unequaled notoriety, will welcome you during your stay, accompanying your walks along the pleasant paths. The Piaggione of Serravalle, the place where you can find the natural spontaneity of life, the place where you can find yourself. At Piaggione we strictly respect nature and our guests, in fact you can taste our exclusively organic products coming from biodynamic cultivation. The 12 KW photovoltaic plant produces a large part of the energy consumed and saves about 4 tons of oil per year and avoids the emission of 10 tons of CO2 equal to the amount absorbed each year by 2 hectares of forest.